I have a issue in your new arenas that you repeat AGAIN AGAIN AGAIN the REFORGED WELL ITS JUST A PRIMAL??? ??? 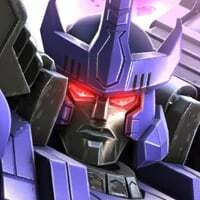 ?why you repeat again you know there's a lot of Auto bots,Decepticon and Beast wars bot that you give to us,I expect this February it's a New Bots you will promote NOT Windblade,Ironside Or Blaster Actually I have already and it's there in the crystal from the very start of transformer forged to fight one of the example that you promote a new bots and don't repeat again your REFORGED:Please Please Please WAKE UP KABAM TRANSFORMER FORGED TO FIGHT!!!!!!!!!!!!! 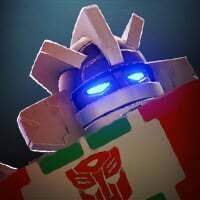 Nightstick - "Black Beam Gun"
I'm always playing in Transformers forged to fight from the start but now I'm VERY UPSET and I'm not fine in this event that you repeat AGAIN KABAM just make a new,be creative and improve your games specially the wallpaper or home screen of Transformers forged to fight STILL THE PICTURES of Soundwave,Blaster,Bumblebee and Starscream make a NEW everything try to improve and change because I'm avid fanatic player of transformer from the start until now I Suggest to KABAM I hope you understand my side and please just take the action of my concern really I don't have like this REPEAT EVENT and REPEAT BOTS keep it up and more power to Kabam thank you. Oookay, that’s a long list. But what do you think this thread will do? Choices are for kids, we adults want them all! As for why they’re doing old spotlights again? Because, reasons. Come on, we got a new relic, looks like a glitched box or jacked rubix cube... Should be a parade..
How is your thread useful in any way if Kabam will never respond to such a post? Because they aren’t going to. That's already an old one. I Don't care if Kabam not respond do your own thread and I have own thread do you understand? I’m not trying to make fun of you or be negative or whatever, but, NO, I don’t. And I’ve been on the Forums since Sept. 2017 as a guest because of the Forums Bug. However long you’ve waited to make your own post, I can assure you my wait is much greater. You definitely don’t appear to have suffered to the Forums Bug at all, much less FOR YEARS LIKE ME. AND, even after that, you can get disagreed with a lot. Look at my first post. It’s normal, so stop whining. Okay, maybe I’m being a little negative. Sorry. Eventhough this one is reforged from previous spotlight, the bots placement and mods are mostly different from before. So, why don't you enjoy and have fun with this. And don’t forget the minibosses. Sure, some of them are legit hard and annoying, but others are actually enjoyable as a feature. I do apologise if you went to a lot of effort with that list, but kabam have already said no new bots for a while. 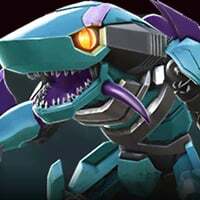 They said no new bots is a permanent change, and I believe that for at least a year there will be none. But it’s probably better setting ur expectations low and and forever. Bruv, Generic BOT CHIPS are the permanent change. We can't be spreadin them fake news. Probably negotiations going on, that's all. True about exactly what is permanent. But not so true about negotiations. They don't need new bots to fuel the game. They only need to say goodbye if the game can't feed itself. But I can foretell the next crystal opening will still guarantee a month's salary for many. At the current stage, the monthly update cost is marginal. If all the income can cover the server cost we're fine for a long time. ... and they are 6*s in their sleeves. millions of players? There are thousands at best. 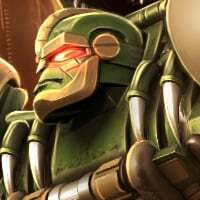 You do realize that we already have the Sharkicons, Dinobot, and Cheetor right? Well he could mean. Non transmetal cheetos and dinobot 2 lol. @Hyperraven10 sorry to break it to you, but there are not millions of people playing this game. I estimate there are less than 10k. Here is some perspective. Last AM, there were 292 teams total on the leaderboard. Even if all of those are full with 18 accounts, you only get 5200 players. I like your enthusiasm for this game and appreciate your long list of bots. Peace be with you internet comrade. I feel there's a miscalculation somewhere. F2F makes around $300K/month, based on sensortower. If it has 5200 players, a min of US $57.70 is spent by an F2F player monthly. That situation is DREAMY for Kabam. How do they even calculate that? It’s hard to gauge exactly how much this game is, or can, generate. There’s been so many who left/took a break after the announcement of no new bots, and we’re only in the second month of that cycle. 6 months down the line we’d be able to get a better average. Compare this to a year ago. Spotlights were in full swing, bots had just been reworked, some of the core bots of today’s teams had been released. There was cause for optimism, and a reason to spend. Compare the current figures to the 3 months ending 2017, the first couple months of 2018, and the same period this year round. Tell me which 6 month time period you’d rather be spending money in. Anyway, @Kabam Miike @Kabam Vydious @kabam whoever else happens to read this, you guys need to advertise, get this game out there in the public domain. We’ve seen mcoc advertised in the daily energon videos (not that mcoc needs it), surely that’s be better diverted to give this game some much needed love? Gotta spend money to make money and all. Mcoc is still the main beat-em-up, but this game has the potential to knock it right off its perch. It just needs the right love and a push in the right direction, and you’ll have another top ranked game in App Store.